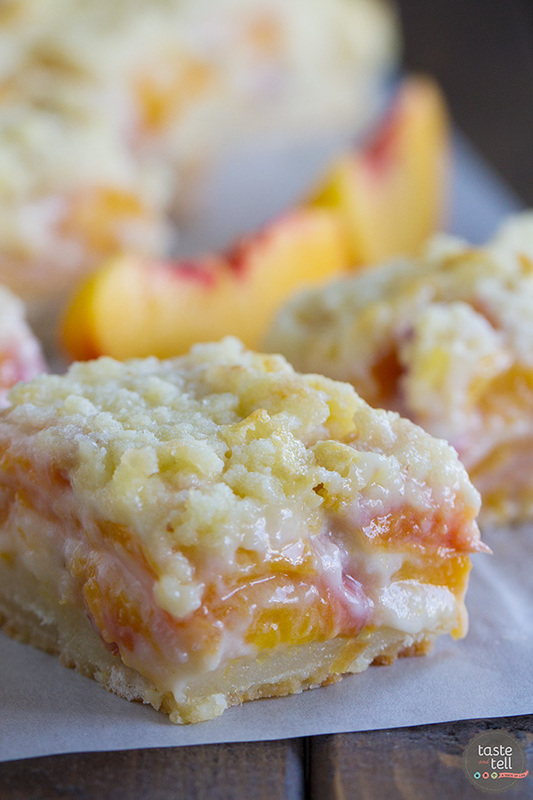 For a different take on a peach pie, try these Peaches and Cream Bars that have a shortbread crust, a creamy peach filling and a crumble topping. Preheat the oven to 350ºF. Grease a 9×13-inch pan with cooking spray; set aside. Take out 1 1/2 cups of the mixture and set aside. Press the remaining mixture into the prepared pan. Bake in the preheated oven until golden brown, 12 to 15 minutes. Let cool for at least 10 minutes.